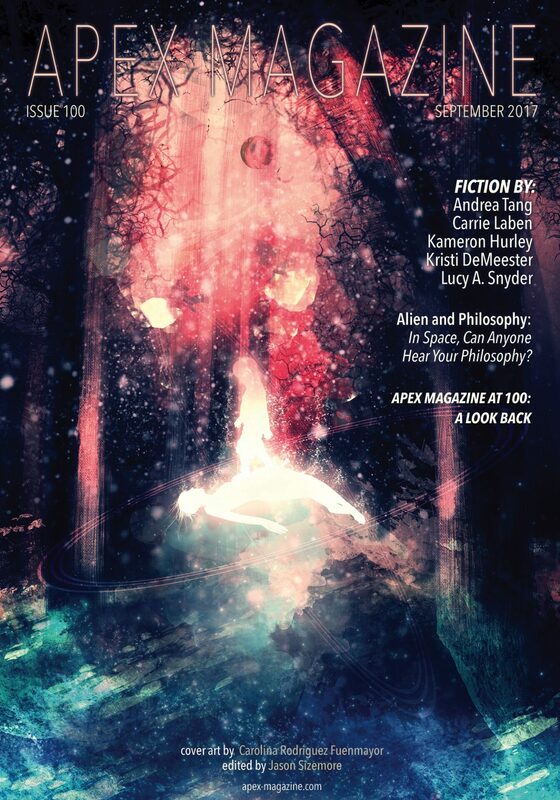 "The Man in the Crimson Coat," by Andrea Tang [bio] (edited by Jason Sizemore), appeared in Apex Magazine issue 100, published on September 5, 2017. Pro: Josefina's quest to find Marcellus and stop him is full of action. Con: The story challenges suspension of disbelief too much, particularly at the end where Marcellus magically saves Josefina from the poison at the expense of his own life--even though we've seen no evidence that he's vulnerable to poisons nor that he had any ability to remove poisons from anyone. The corporate dystopia is itself hard to believe in. Marcellus is an android, not a cyborg. According to the author's blog, this is her first year of Campbell eligibility, and this story is her first pro-sale. I definitely see potential. I liked the style, the setting, and the characters. But I felt like the details of the world-building and the dynamics between the characters needed to be more thought out. Thanks for the info. I have her down in the spreadsheet as a 2nd year Campbell writer because of her 2016 sale to Sockdolager (according to ISFDB), though perhaps that magazine doesn't count as a pro sale.